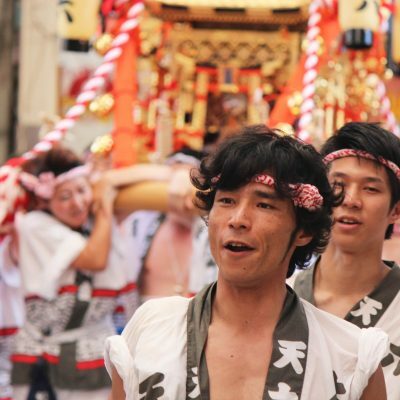 The Tenjin Matsuri, which literally means “festival of the gods,” first started in the 10th century and is held every year in Osaka on July 24th and July 25th. 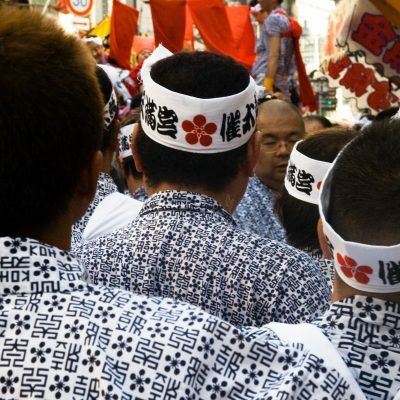 The Tenjin Matsuri is ranked as one of Japan’s three greatest festivals, along with the Gion Matsuri in Kyoto (also happening in July) and the Kanda Matsuri in Tokyo (which takes place in May). The festival is held at the famous Tenmangu Shrine in Osaka and honors the deity Sugawara no Michizane, the god of learning. Tenjin Matsuri, which literally means “festival of the gods,” first started in the 10th century and is held every year on July 24th and July 25th. The main celebration is held on the second day, July 25th, from around 3.30 p.m. and includes a land procession. with mikoshi (portable shrines), a river procession with festival boats along the Okawa River and spectacular fireworks as night falls. 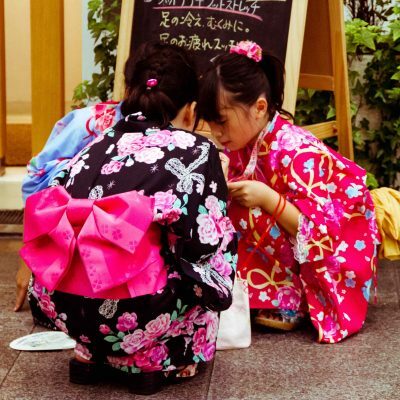 With a history of more than a thousand years, the Tenjin matsuri lets you feel the atmosphere of a summer festival at its biggest and best in Japan. Photos (clockwise from left to right): elmimmo, Lolu Photography, elmimmo, James Gochenouer, Lolu Photography, Isaac Bordas, elmimmo. 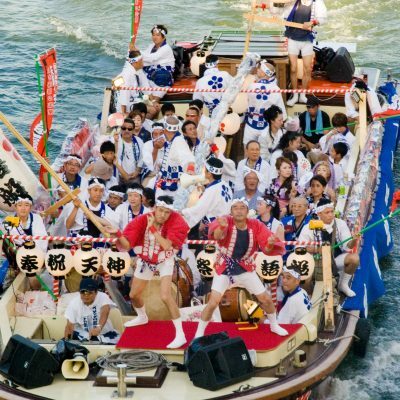 The Tenjin Matsuri gives you the chance to see a spectacular summer festival in Osaka with a large-scale land and river procession as well as a stunning fireworks display. The first day of the festival features a ritual at Tenmangu Shrine in the morning to kick things off. This is followed by prayers at the river for peace and for the safety and prosperity of Osaka. The highlight of the festival is the second day with the gilded mikoshi carried along by participants dressed in traditional imperial court style costumes. The main event starts at 3:30 p.m. with the land procession from Tenmangu Shrine through the central streets of Osaka. It features ceremonial floats, costumed characters and lively festival music (generally drums, flutes and a lot of yelling). This is followed by the convoy carrying the mikoshi that houses the spirit of the deity, Sugawara no Michizane, from the shrine out into the streets of Osaka. Featuring around 3,000 participants, the procession arrives at the Okawa (river) around 6:00 p.m., where the mikoshi and participants are loaded onto the festival boats and paraded up and down the waterway. There are around 100 boats, which are illuminated at dusk creating a beautiful reflection off of the river. 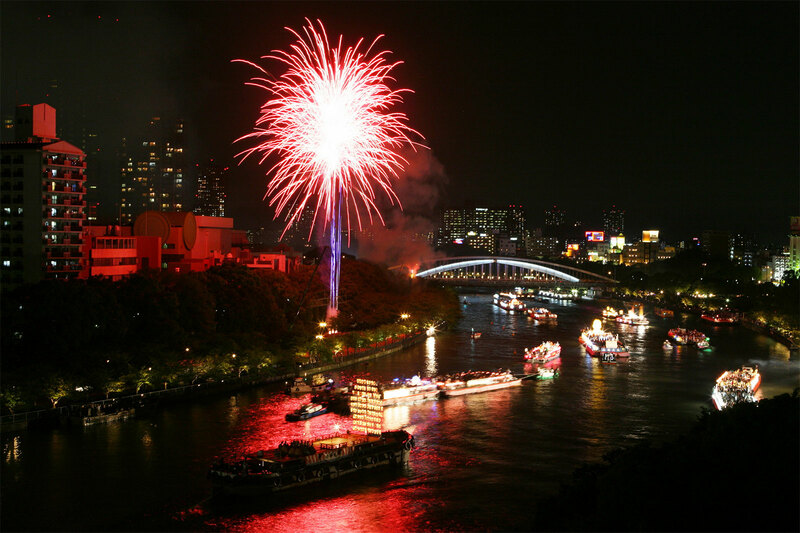 The day is capped off with a spectacular fireworks display along the Okawa at around 7 p.m. along with illuminated festival boats that make for a truly amazing spectacle. The fireworks finish around 9 p.m., when the mikoshi and festival participants disembark the boats and make their way back to Tenmangu Shrine, signaling the end of the festival. Japan blogger, photographer and traveler. i am looking forward to the vibe and energy levels, it will be an experience I will never forget!!! The traditions, culture and people during this wonderful festival!!! Moved to Osaka just this month and am most looking forward to the aspects of the day that evoke the long historical tradition of this festival. I guess the costumes and floats? Not the fireworks. I ‘ve been in Osaka, and also Japan, for merely 3 months and I’m so eager to know that one of the three biggest festival of Japan is going to be held right here. I’m expecting to see the mikoshi part with traditional costumes and firework, one is for my curiousity toward a new and beautiful culture, and one is for my childhood dream – I love firework since I was a little child looking at those miracle colourful light with great joy, and everytime I see the firework I always feel the same :D. Japan has long been famous with firework summer festivals and I’m soooo excited to go and see. One more important reason is I want my two children to see the festival for the first time, to see the Japanese unique culture and to see the beautiful miracle firework. They would be even more excited than me! My Japanese partner has some kind of internal combustion engine instead of a circulatory system which makes summer pretty unbearable for him. 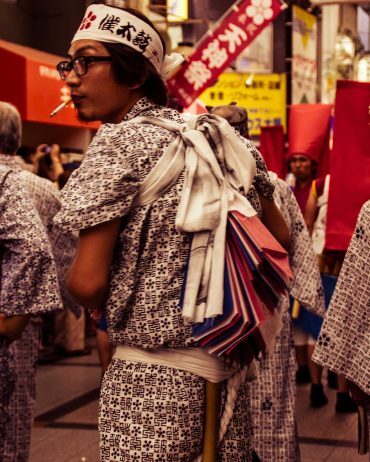 He mentions Tenjin festival every year, but, the reality is that after dispatching a batch of takoyaki and a swift beer, he gets hot, bothered and irritated by festival crowds. This year, I’d love to see and photograph the parade and costumed procession. Last year, after negotiating all of the closed roads and finally reaching Tenmangu shrine, I found myself within a madding crowd and selfie stick melee. I was very disappointed not to be able to see very much. What a treat it would be for the pair of us Osakans to watch the parade and absorb the atmosphere from the comfort and vantage of the seating area! Hi Rebecca! Could you get in touch with us at editorial@gplusmedia.com by 11 am tomorrow (20th) to claim your tickets. Please include your full name and address in your email, plus the full name of the person you are taking with you. Hi Erica! Could you get in touch with us at editorial@gplusmedia.com by 11 am tomorrow (20th) to claim your tickets. Please include your full name and address in your email. Thank you so much for this amazing opportunity! I have sent an email to the address provided with the requested information. Hi Erica. Could you get in touch with us at editorial@gplusmedia.com by 11 am tomorrow (20th) to claim your tickets. Please include your full name and address in your email. I moved to Osaka, Japan last year as a student but was not able to experience any festivals fully because my husband was working a lot. This year I really want to go and enjoy the full festival experience and hopefully not miss a thing. 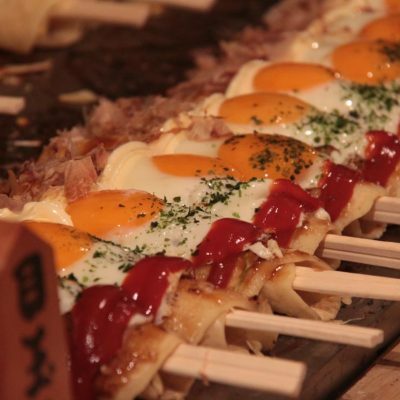 Everything from the procession, mikoshi, boats, fireworks etc is hugh on my wish to see list. This is the first time that I’ve been here in Japan, it would be better and memorable to me to witness the one of the festivity in japan especially in Osaka. I’d love to see the whole festivity. I would love winning these tickets for the seating area! 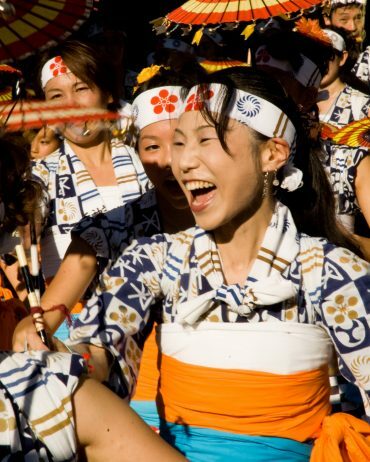 I will go this summer in Japan especially for the matsuri, and Tenjin matsuri is on my top list. The procession on the river is surely amazing to see especially with the fireworks. So, this is the part I’m looking for the most. Thank you. I come from a town in Honduras were, for Easter week, we have local faithfuls carry litters and great statues of Catholic saints, which is always my favorite part. To see each group of people endure for hours carrying the litters all around town, under the hot sun, has always been a motive of awe and inspiration about the whole Holy Week celebration. The shrine carrying is always my favorite part of Japanese matsuri for the same reason: all the joy and energy and teamwork put in to celebrate something so grand and bigger than the self. That would be what I’d love the most about the Tenjin Matsuri. Hi Alicia! Could you get in touch with us at editorial@gplusmedia.com by 11 am tomorrow (20th) to claim your tickets. Please include your full name and address in your email, plus the full name of the person you are taking with you. The fireworks!!!! I love fireworks. I’m looking forward to seeing all the floats! They look amazing, and I’m really looking forward to listening to the Japanese drums, which are my favorite instruments. Can’t wait to go!! 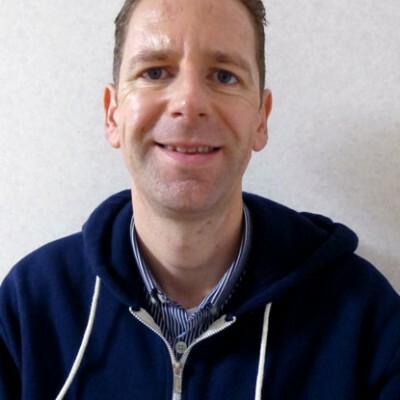 Having lived nearly two years just ten minutes from the Tenmangu Shrine, but not being able to attend last year, I’m looking forward to experiencing my first Tenjin Matsuri — practically in my own neighborhood! Fireworks are always fun, but the gilded mikoshi, etc. will be really a great sight to see! 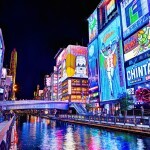 If I were to go to the Tenjin Matsuri, I’d look forward to the festival boats and the traditional Osaka(n) food. Hi Hugo! Could you get in touch with us at editorial@gplusmedia.com by 11 am tomorrow (20th) to claim your tickets. Please include your full name and address in your email. Speak Japanese? 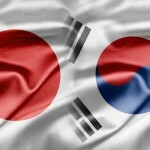 Speak Korean, too! Learn the following words, and you've got them down for both languages. 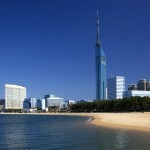 A short distance from the concrete and noise of the city lies Seaside Momochi.